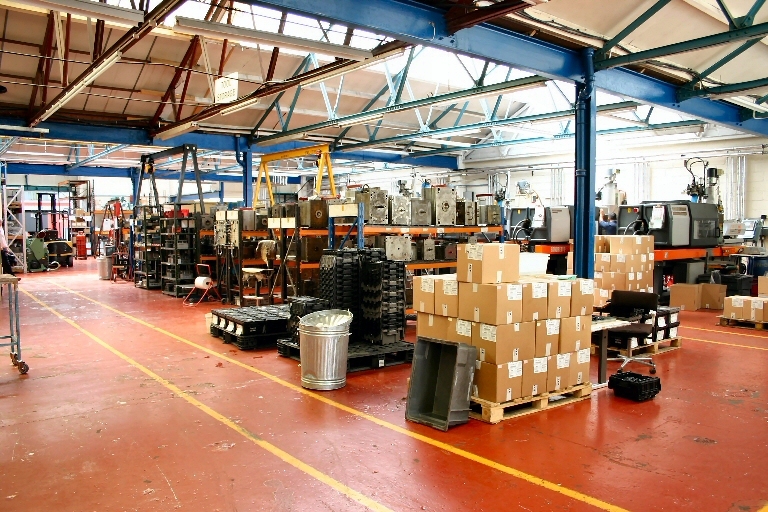 The Triumph Trading Estate is ideal for either Manufacturing or Storage and Distribution. It offers a total of 100,400 sf of factory, warehouse and office space. 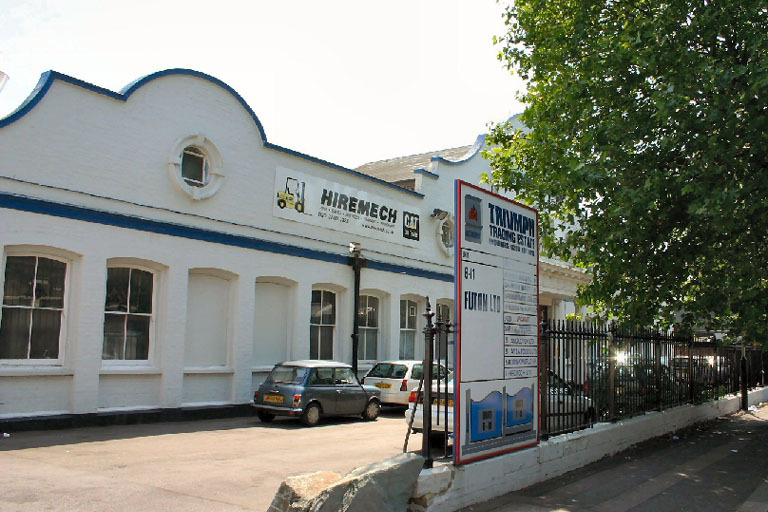 It is located in Tottenham and offers convenient access to the North Circular Road, the M11 and M25. Both main line and tube stations are nearby. Some of the Units have been sold to Owner Occupiers. The remainder are available for Sale or to Let. The Triumph Trading Estate Units have all been formed by sub division of two larger buildings. 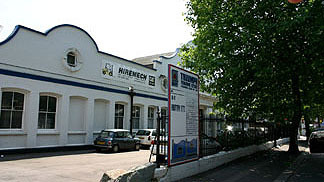 The site was originally used by the Triumph Motor Cycle works (see History and the refurbishment work carried out by Hastingwood has been based upon keeping as much of the original buildings as possible. Traditional construction and materials have much to offer in comparison with the low cost modern building techniques commonly applied to the production of industrial space. In the sub division, partition walls are formed by concrete blocks to the roof line, making each Unit both internally secure and increasing levels of privacy and insulation to a degree unusual in modern construction. The roof structure is of 4 pitched bays with a mixture of traditional steel sheets and generous numbers of roof lights. A new roof has been laid over the original, providing enhanced insulation and the opportunity to increase the size of valley gutters to cope with the extreme weather conditions now encountered thanks to climate change. Unit floors are concrete with a paint finish and all Units are offered with internal decorations in good order. Triumph lends itself to a natural division into 11 larger units of around 10,000 sf each, and several of these Units have either been interconnected or alternatively have been further sub divided to form Units of between 2,500 and 3,000 sf. 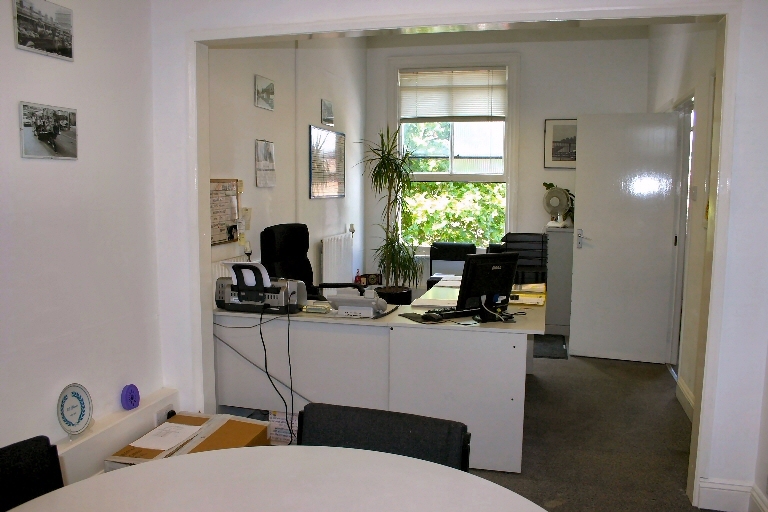 The larger premises feature high standard office accommodation and loading or unloading access on both flank walls. All units enjoy their own kitchen and toilet facilities. Units are prewired with HastNet internet and telephone facilities. Modern sealed unit uPVC windows have been fitted. Floor space is largely unobstructed and each unit has roller shutter or concertina loading doors. Triumph offers a good location, good access and parking. Both the Estate and the individual Units are well maintained. Triumph features an advanced Hastingwood CCTV system with Video recording facilities and this is monitored 24/7 by Hastingwood security staff. Service Charges Triumph Trading Estate does not feature on site management or maintenance staff and this is reflected in a low service charge, currently set at �0.70 psf. This is less than 50% of the charges raised in other local Estates, often for fewer services. Maintenance is provided from the nearby Hastingwood Trading Estate in Edmonton. We ensure that roads and car parks are swept daily and the Estate is kept clear of refuse. External common parts are freshly painted and all lighting and other services are well maintained. Triumph Trading Estate operates 24 hrs per day, 7 days per week. There are three internal Estate Roads ensuring good circulation, and in addition to reserved Unit parking along the flank walls, there is also a large yard to the rear of the site.